As a form of advanced doodling, digital sketch noting allows you to capture, record and communicate your ideas in a visually mediated system. Sketchnoting is inherently multimodal in that it involves the use of different modes of expression including writing, drawing, shapes, diagrams and many more. Now with the advance of mobile technology, there appeared several powerful sketchnoting apps that you can use to create beautiful sketch notes on the go. Check out this list to learn more about some of the best sketchnoting apps out there. For those of you keen on learning the art of sketchnoting from scratch, we would recommend these two resources. The first one is Mike Rohde's book " The Sketchnote Handbook". This is a succinct guide to introduce you to the basics of sketchnoting and walk you through the way up to the design of advanced sketchnotes. 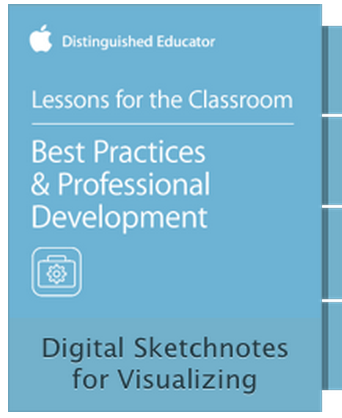 The second resource is a free iTune U’s course entitled ‘ Digital Sketchnotes for Visualizing Learning’. 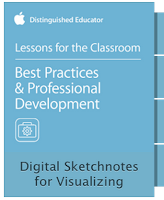 This course, which we discovered through Learning in Hand, is a great introductory lesson to help users learn how to use their iPads to visualize their learning through sketch noting.